In today’s distributed commerce world, many brands have found a direct-to-consumer (DTC) sales channel has provided a new revenue stream, better insights on customer behavior, and tighter control on the brand experience from product discovery through purchase. Often the first question for brands is whether a DTC channel will generate its own substantial source of revenue. How can brands ensure that the new channel’s will not compete with sales from the existing distributor and retail revenue? In a noisy world, every channel competes for consumer attention. Your retail partners work at gaining and keeping their share by differentiating on experience and focusing on specific markets. What will make your DTC channel effective? To ensure a DTC channel is worthwhile, your brand must also differenciate on experience. Focus on your brand or product’s core customer and build the kind of convenient and consistent shopping experiences customers will expect from you. Launching a direct-to-consumer website with a compelling shopping experience isn’t easy. It requires multiple departments working together to collect and publish the relevant product content. Your technology options for ecommerce platforms (including Magento, Hybris, Demandware, and Shopify) run the gamut from out of the box solutions, plug-ins, third-party integrations, or complicated open source in-house undertakings. Here are four additional questions to ask before deciding which technology options you will need for the most effective DTC website. How many SKUs do you have? The more products you have, the greater your need for a solution that can handle data at scale. Some plug-ins and out of the box ecommerce solutions may slow down or hit storage issues when compiling large data inputs. Always ask any potential vendor partner if they have handled DTC websites at similar scale to your own. How often do you change your sale items or run promotions? Some brands only change pricing on a seasonal basis or have yearly specials. But if you plan to run daily or weekly sales, you will need the flexibility to update the product content on your homepage and other pages frequently. And if you want to easily target your sales towards specific segments of your shoppers, you will need your ecommerce platform to support that fluid experience. Dynamic categorization, or the ability to map product attributes to multiple values or new values without losing core information, is crucial for providing your team the flexibility to run frequent sales and promotions. This capability is more likely available through in-house coded or third party integrations. How unique or detailed is your product story? Some products are easily described through predictable categories. For example, you may sell a shoe that has size, material and color as product description options. If your product is more nuanced and has secondary colors, detailed product specifications, multi-dimensional sizing and multi-faceted features that you will need captured against every SKU, ensure the technology you choose can accommodate that rich data. Many out-of-the-box solutions will cap how many product attributes they can syndicate to a direct-to-consumer channel and are not an ideal solution for brands that have detailed data they cannot afford to keep off their sites. What in-house skill sets and resources are available for this project? Any technology you choose will need implementation support and staff support to maintain the effort. Ask about the support and technology expertise at your vendor if you will not have it in house. It may sound daunting, but for many brands a DTC strategy is already paying off. For example, since investing is it direct to consumer channels in 2012, Nike has seen a quarter over quarter increase in DTC sales. The athletic brand projects it will amass $16 million by 2020 through its DTC channel. In fact, a recent Econsultancy study found more than 40% of all brand manufacturers already have or expect to invest in a direct-to-consumer channel in in the coming year. Consumer expectations suggest there is room for many more brands to follow suit. A Brandshop study found 81% of consumers expect to be able to make a purchase directly from the brand online. Who is doing digital DTC well? Rawlings: Championing pro-athlete gear. Rawlings Sporting Goods has a unique challenge when telling its brand’s story. Predictably, customers want to sort the collection by sport, by age, by product type, by color and by material. But in addition, many shoppers are interested in which products are used by specific professional teams or pro players. The brand’s website balances both needs by featuring the season’s sports and promoting new and relevant players, while offering the standard and expected navigation. 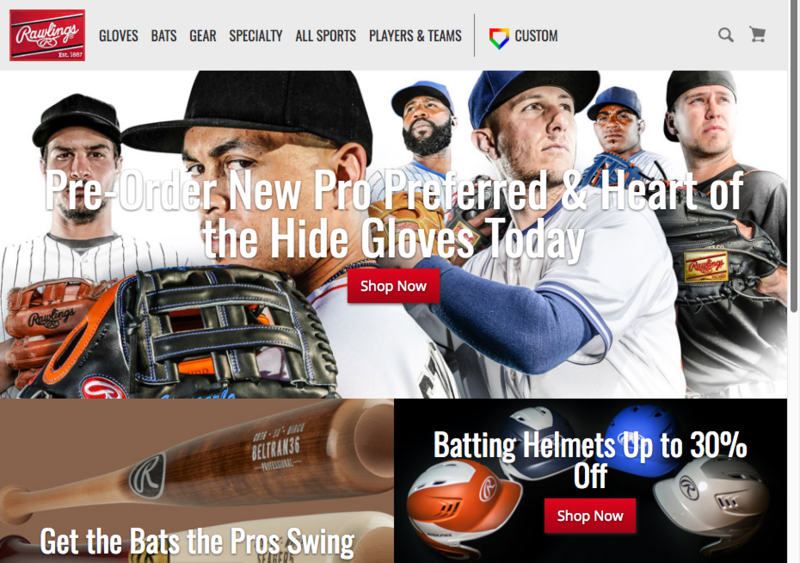 Learn more about how Rawlings got its product content to market with Salsify. Fruit of the Loom: Embodying a unique brand voice. Fruit of the Loom’s advertising makes basic underwear funny and fun. It’s website needed to extend that vibe to a digital channel and make it easy for customers to find exactly what they are looking for. The direct-to-consumer site combines video clips from its classic TV spots, with a circulating list of special price offers, as well as an easy to use fit finder tool. It all combines to create an immersive branded experience that brings the intimate apparel to life. Vivendo: Dive deep into details. The modern Italian furniture store prides itself on high quality design and manufacturing. 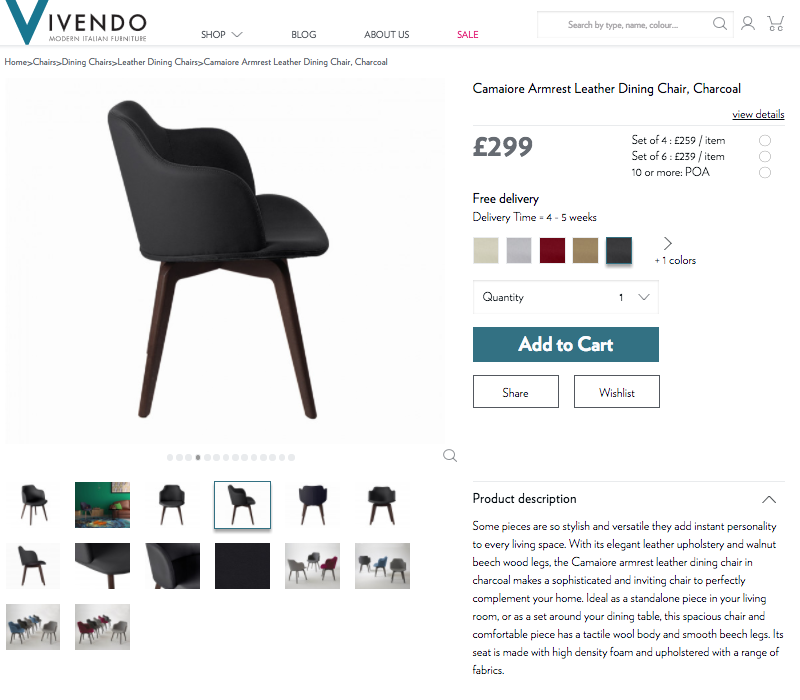 It’s direct-to-consumer website uses a several product images to show each piece in a room, on it’s own from every angle, and up close shots so shoppers can admire the grain of the wood or the texture of the leather before clicking buy. Product descriptions run long to tell the full story of the product and the Italian manufacturer that makes the custom piece. Have more questions about how to make your brand’s direct-to-consumer channel a success? We’d love to hear from you! Contact info@salisfy.com.